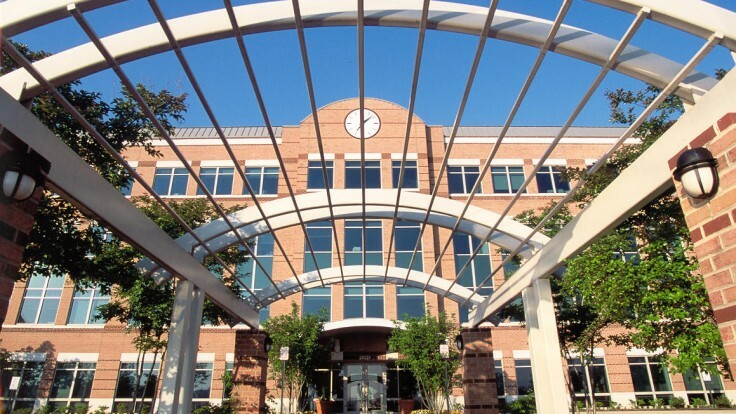 Lakeside @ Loudoun Tech Center | Hubert Construction, LLC. 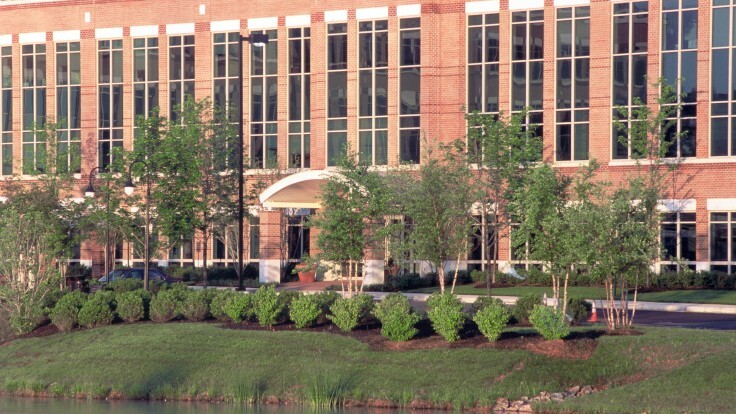 Lakeside @ Loudoun Tech Center consists of three 4-story class ‘A’ office buildings, totaling 315,000 square feet, that serve as the visual gateway for the Loudoun Tech Center. The buildings are steel structures, with brick veneers, cast stone accents, vertical curtain wall elements and punched window openings. The project scope included the site development package with stone sculptures an expanded water feature, landscape along with wet and dry utilities . Interior construction was performed by Hubert’s interiors department as the client leased the space. Pre-construction services for both the base building and interior fit-out work were provided.